I am always terrified of preparing the traditional neivedyams. I've been married for 10 years now, and even to this day, I am not very comfortable in dishing out the neivedyams or festival recipes. Until very recently, all such dishes would be prepared by my MIL only and I would be a silent spectator, watching her deftly put together the required offerings with ease. 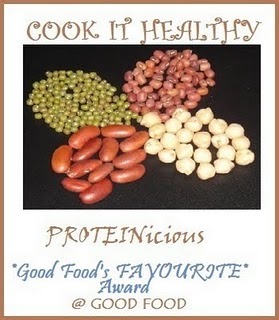 It was only after I started blogging, that I decided to try out these recipes myself and slowly with my mother's and MIL's help I have learnt to prepare most of them. The month of Aadi is here. Aadi is the fourth month in the Tamil calendar. This month is dedicated to the worship of Goddess Parvathi or Devi. Most Devi temples throng with devotees. During this month long period, the Tuesdays and Fridays are considered to be very auspicious. Apart from these, Aadi Amavasya, Aadi Pooram and Aadi 18 perukku are important days too. The ladies of the house, generally recite the Lalitha Sahasthranama, and prepare a nevedyam of a sweet, usually Chakkara Pongal and Vadai. Aadi also marks the beginning of the festival season.Today is aadi pooram and we prepared this pongal as nevedyam for the goddess. Lightly roast the spilt yellow moong dal till a nice aroma starts coming. Pressure cook the rice and moong dal together with 4 cups of water. Heat a heavy bottom vessel, add the jaggery and about ¼ cup of water. Let the jaggery dissolve completely, then, strain for impurities. Pour it back into the heavy bottom vessel and let it boil, for for 5 to 6 minutes on medium flame. Keep stirring once in while to avoid burning. Once the syrup starts thickening slightly add the cooked rice and moong da. Mix well. Now add the ghee and stir till everything comes together as a semi solid mass. Remove from heat. Add powdered cardamom powder and mix well. 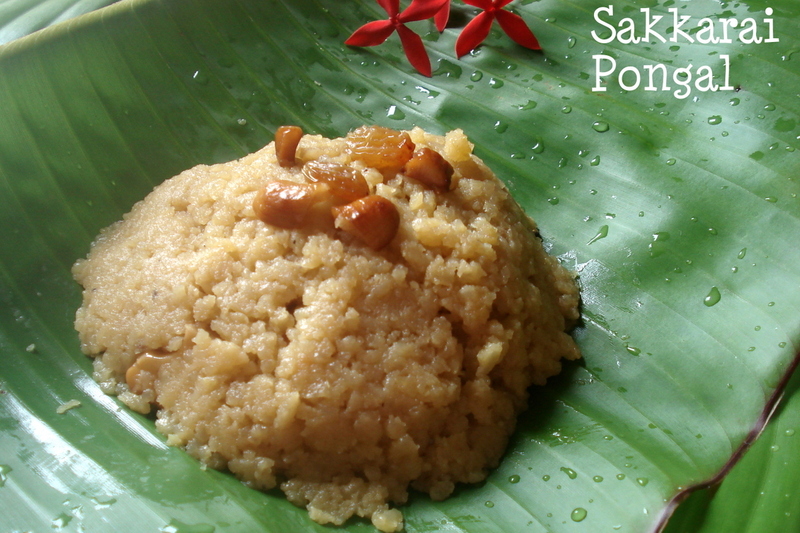 Roast cashews and raisins in a little ghee and add it to the pongal. Mix and serve hot. You could add milk while cooking the pongal for a richer taste. Substitute half the amount of water with milk. Remove from heat while still semi solid, as the pongal solidifies with time. Linking this to Jagruthi's Celebrate Event - Month of Shravan hosted by Sangee. my fav sweet pongal.. tempting clicks..
You have presented this delicious pongal in it's original and authentic way kaveri..With that thechippo it looks absolutely like prasadam. 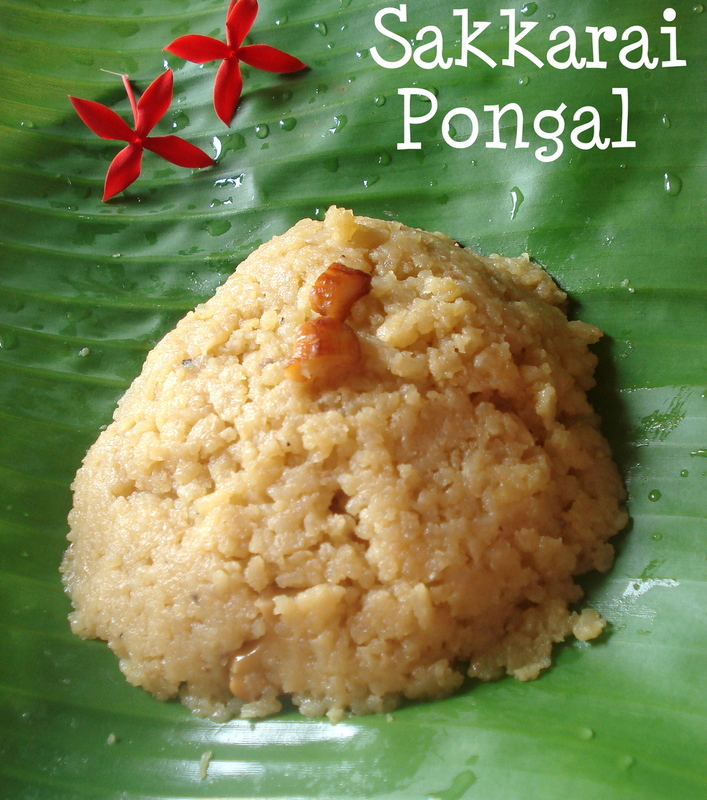 lovely and delicious chakkarai pongal. 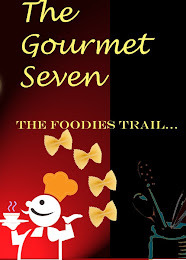 looks yum Kaveri. Love the post description abt the festivities. My favvvvvvvorite am craving for some now :) Am gonna ask my mom, she is an expert in making this but its already 10 pm :( Anyways will ask her tomo :) Looks very delicious!! My daughter's favorite, looks delicious..
Yours looks so delicious n tempting..Thanks so much dear for sending it to my event!! 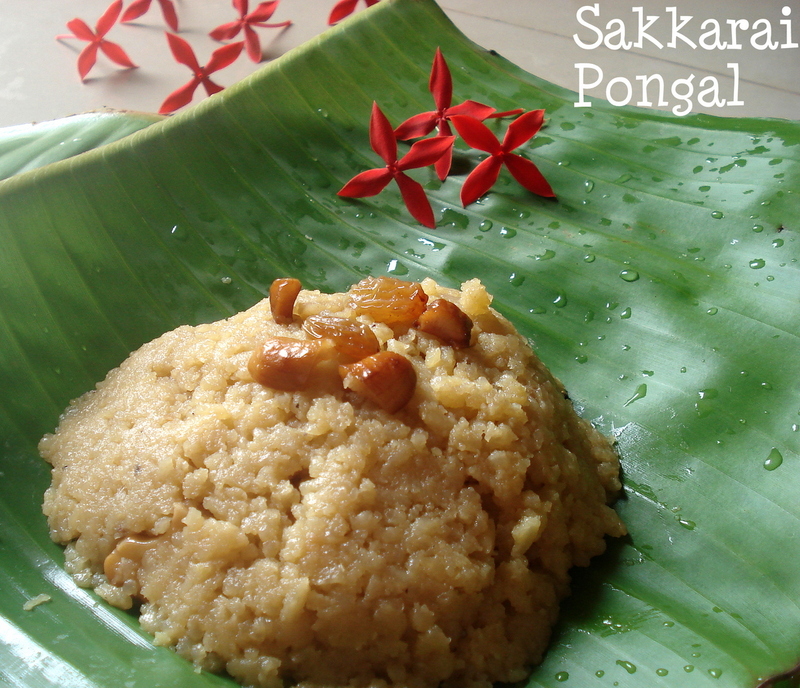 Happy festive season, pongal prasadam looks delicious. It looks divine..served in banana leaves with the red flowers(we call it chekki) gives it a look like the one we get from temples . I want to know about CHAKKRA. (getting from palm tree) it is good for diabetic patient or not. please inform.